Since its existence, India has been a land of golden treasures that has always attracted spectators and buyers from all over the world. The treasury box of this diverse nation opulently showcases the vast variety and marvelous intricate arts and crafts. Indians have expended enormous energy on inventing and creating the intricate arts. Modern India, however, has moved ahead into the technological era leaving these artforms to the few. 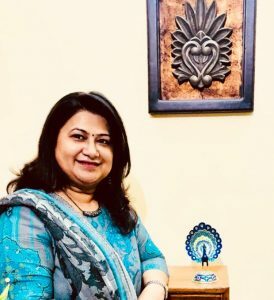 The rural India, which is yet to see the digitization, is engaged in preserving their ancestral arts and crafts by passing it to their generations. Sensing the gap here, Prateek B Singh founded Shoppingkart24 with an objective of bringing the Indian art and crafts on the digital platform. 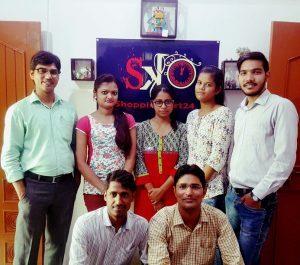 Shoppingkart24 has been working towards educating the artisans to promote and sell their ware online. Mr. Singh believes in maintaining a personal touch with stakeholders to be able to show them the positive sides of the internet world. “In the age of globalization, where everybody is striving to make their online presence felt, what about those who are not aware of these advancements? These people become our target market, and we focus to assist such talented groups. While they make what they are good at, we help them channelize the sales through our website”, says the founder of Shoppingkart24. 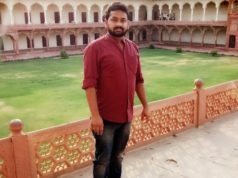 With the vision to promote Indian culture and heritage globally and provide the local artisans and craftsmen with a comprehensive platform to sell their products, Prateek introduced an out-of-the-box concept of ‘team visits’. The team of Shoppingkart24 visits rural and remote areas to meet local artisans and craftsmen and educate them the digital tricks and tips to sell their products to the global audience. Since 2016, the team has been following this concept and they have seen a huge traction through it. Apart from the company’s growth through sales, they have also experienced overwhelming responses from the local groups during their visits. The first team visit was to Chopta (8000 ft) followed by Chamoli Ukimath in the state of Uttarakhand. In this first visit, Prateek and his team were hesitant of the visit but “the best part was that the families of the artisans and craftsmen ensured that me and my team was treated with utmost hospitality and all our needs were taken care-off”, remembers the founder. The team of Shoppingkart24 has also visited the villages in Bihar. Here, the team got the opportunity to meet a family, a representation of the true legendary face – Madhubani Art Smt Sita Devi and other artisans from Bihar. After covering Uttarakhand and Bihar, the team of Shoppingkart24 visited the families of artisans and craftsmen residing in Khelgaon, Ranchi. This is their latest on-site visit and the responses and warm welcome from these dwellers have filled their hearts with joy. The main aim of the visits was to enlighten the artisans and craftsmen about the process of handling their own sales through the website. The craftsmen and artisans welcomed the concept of Shoppingkart24 and now look forward to showcasing their products to the world! Apart from visiting the villages, Shoppingkart24 also met Shri Padamshree Ashok Bhagat (Expert Member Khadi Commission). During the same event, they shared the stage with Honorable Chief Minister Shri Raghubar Das. They also heard motivating talks from Shri Sanjay Seth, the organizer of Karigar Panchayat. The Chairman of Khadi State Board, Jharkhand, Shri Vinay Kumar Saxena was also present at the event. A few days later, the team participated in the Karigar Panchayat, which was organized by Khadi Village State Board Jharkhand. Around 8000 artisans were also a part of the panchayat. 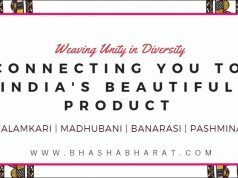 ShoppingKart24 is promoting the GI (Geographical Indication) tagged products with their Exclusive GI Store section available on the web portal. ShoppingKart24 bridges the gap between customers and the Indian Brands. 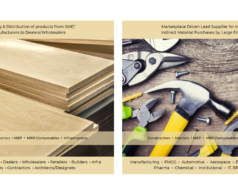 Through this unique concept, they offer a unique and versatile line of products coming from rural/urban vendors at the customer’s doorstep. They have an exclusive app that has a voice search feature for all those novices in this arena. They say, every new plant needs the right care and nurturing, and under the mentorship of Smt. Aparna Mishra, the team has been unfolding new aspects of the company each day. Her guidance has played a major role in Shoppingkart24’s upscaling. “She is a true motivator and a really cool mentor. My team, and especially I am quite lucky to have her guidance all throughout. She pushes me beyond what I think I am capable of, and helps me set difficult targets, which I have been able to achieve.” Says Prateek B Singh. Smt. Aparna is the founder of a virtual incubator – accelerator, ‘CafeBiz’. This is a platform which helps businesses promote themselves on the right path. She has also been representing Slovakian Chamber, India and is looking forward to exploring the European Union for economic growth in businesses and industries. Today, Shoppingkart24 is proud to announce their collaboration with CIPAM-DIPP (Ministry of Commerce) with the motto of promoting and enhancing the marketability of GI products. The team is currently working on the Uttar Pradesh Government Scheme of ‘One District One Product (ODOP)’ and enhancing the marketability of these products too. 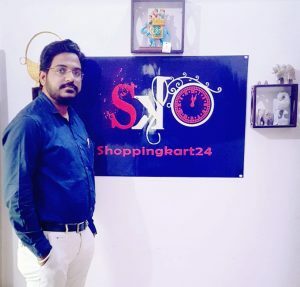 Prateek B Singh now looks forward to bringing more traction, clients and customers to Shoppingkart24 for a wholesome purchase. The concept is indeed unique and with the continued efforts the team is all set to reach the highest peak on the success ladder! Previous articleHow Much Does It Cost to Start & Run a Private Limited Company?